Utah is not only a popular destination for many Hollywood filmmakers, it’s also one of Hollywood’s biggest financial cash cows. Along the Wasatch Front, many theaters rank in the top of the nation for highest earnings on blockbuster movies such as Harry Potter, Twilight, and Pirates of the Caribbean. 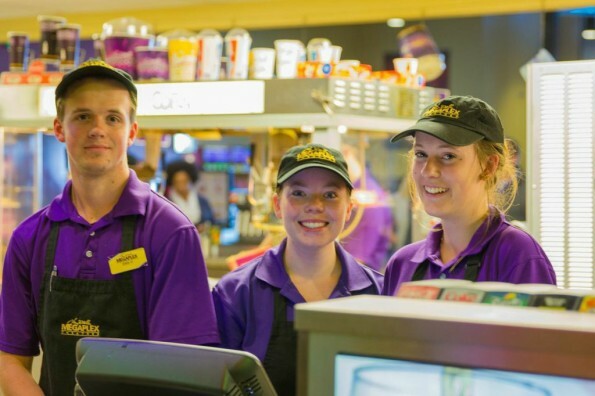 These theaters are part of a local enterprise: Megaplex. Larry H. Miller’s Megaplex Theatres have become such a state-of-the-art development that many locals forget that they are known primarily to Utah residents. 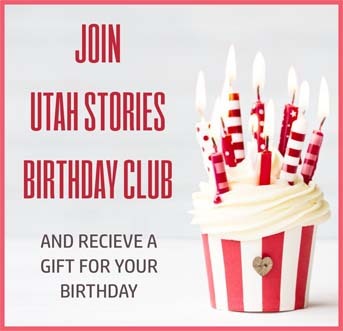 Local film critic Luke Hickman says, “Being from Southern California and being a voting member of the Utah Film Critics Association, I’ve seen a lot of movies at a lot of different theaters. I consider myself lucky that my favorite multiplex in the world is also the closest theater to my home—Jordan Commons in Sandy.” Hickman reviews movies on TheReelPlace.com and The Eagle 101.5. The flagship of the theater chain, Jordan Commons, first opened in 1999 after the relocation of Jordan High School. Today, Utah is home to 17 Megaplex Theatres, with one in Nevada. 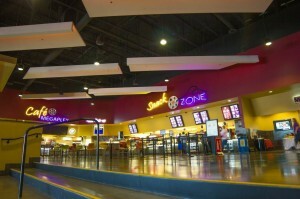 “Megaplex was among the first theater chains to offer 100 percent reserved stadium seating, digital projection, full-service food courts, premiere parties, VIP luxury seating, D-Box motion seats, Coca-Cola Freestyle machines, and a host of other innovative services,” says Megaplex Marketing Director Jeff Whipple. These innovations are now industry trends spreading across the nation. Two major new locations are currently in development. 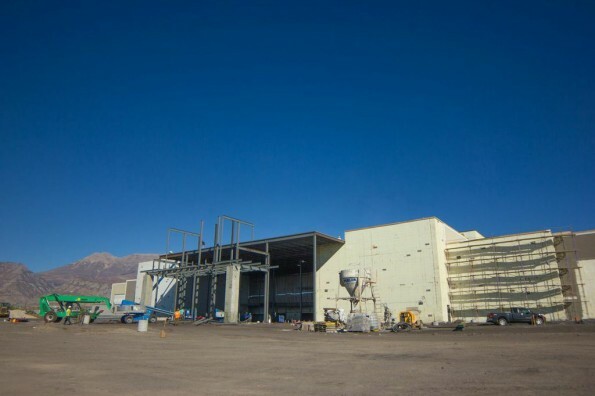 A 13-auditorium theater is scheduled to open at the beginning of 2015 in Orem, Utah, followed by the long-anticipated development of the former Cottonwood Mall district. 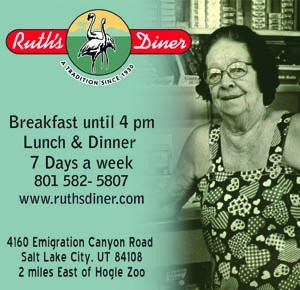 Like the others before, both locations will anchor retail and restaurant districts. The City of Holladay hopes this will be the spark that brings back the to foot traffic local businesses have lost since the mall was demolished in 2008. While the Megaplex Theatres account for only 40 percent of all screens in Utah, they generate 60 percent of total business. 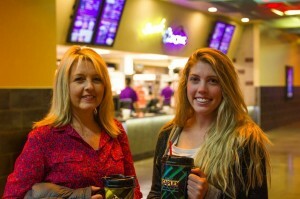 “I take my family to the Megaplex because of their refillable mugs and the rewards from their loyalty cards,” says frequent movie-goer Charmoin McKendrick, who lives down the street from the Draper Cinemark. The two most popular locations, Jordan Commons and The District, are often number one and number two in the nation during the winter blockbuster season. With the Christmas season almost upon them, the theaters are counting on similar attendance numbers for The Hobbit: Battle of the Five Armies and The Hunger Games: Mockingjay Pt. 1. With the release of Disney’s Big Hero 6, Commons and District may rival some of Disney’s own theaters in California. Last month, the Megaplex at Thanksgiving Point location ranked number one on opening day for the Nicholas Sparks romantic drama Best of Me. Add in lower ticket prices compared to nearby states such as Colorado, Nevada, California, and Idaho, and this is no small feat. Patrons show off their loyalty with their MegaMugs. All photographs taken by Devin Timothy. 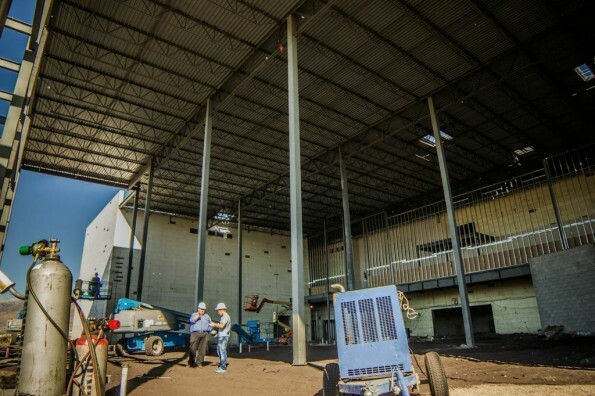 The 13-auditorium Geneva Megaplex plans to open in early 2015. 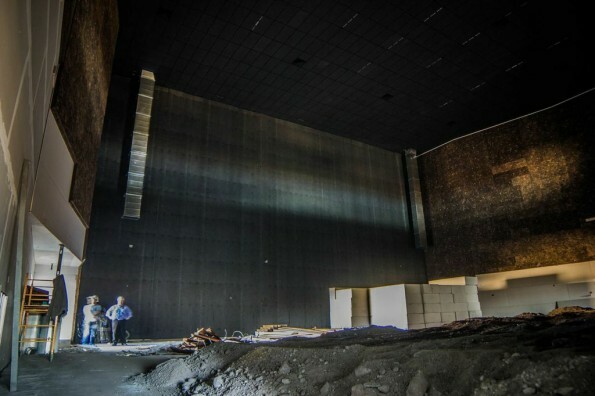 The unfinished IMAX will stand almost five stories tall in a house that holds almost 500 viewers. The multiple layers of soundproofing each auditorium offers. 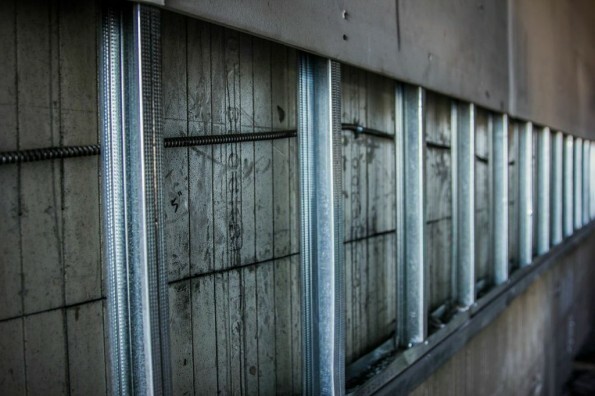 Beneath the metal rungs is a massive wall of industrial foam. The full-service food court will greet patrons when they first enter the theater. 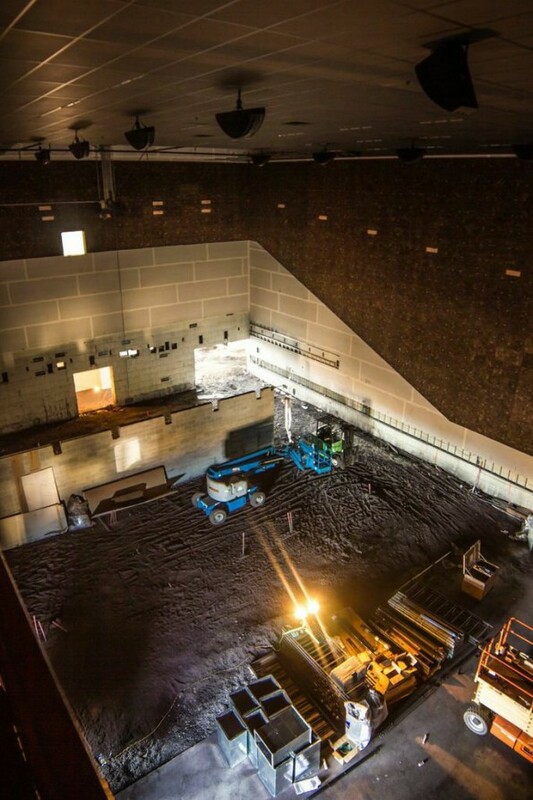 An aerial shot of an unfinished auditorium.